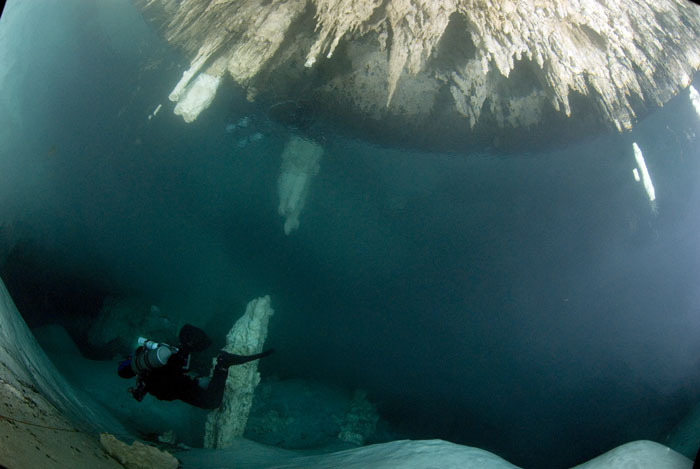 I wrote about diving Pet Cemetery in my "The Hunt for a Blue Abyss" story on this page. 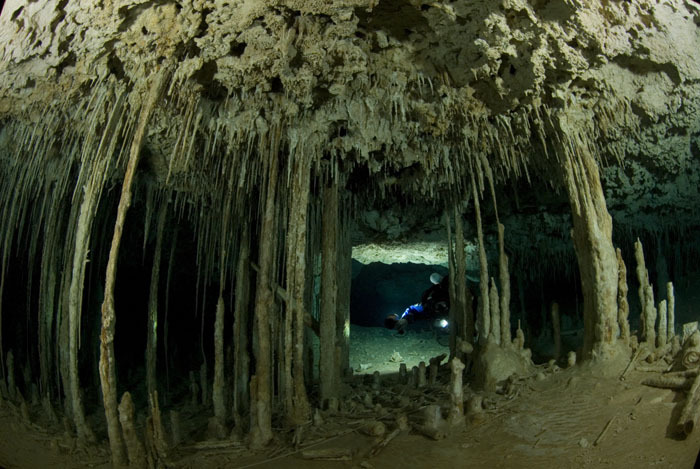 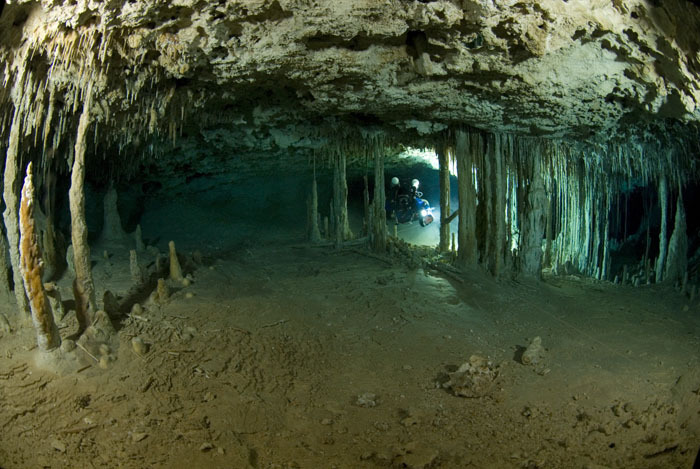 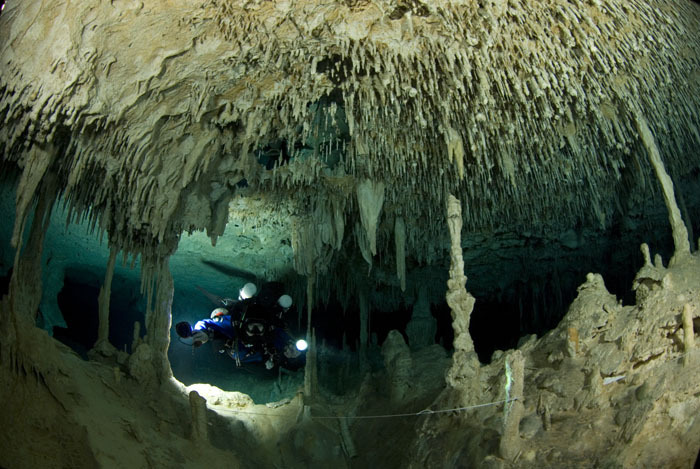 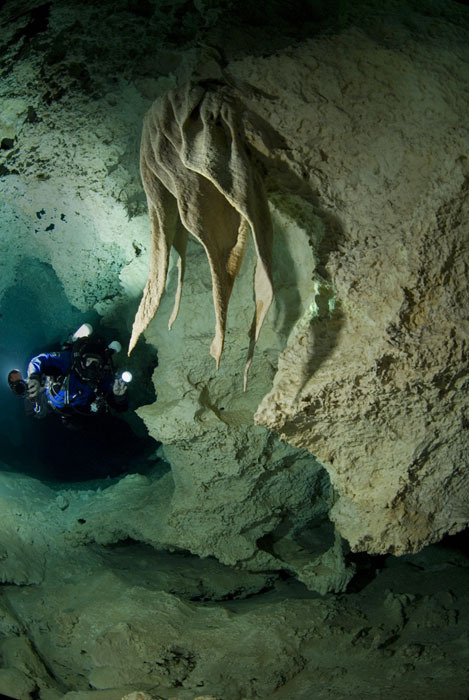 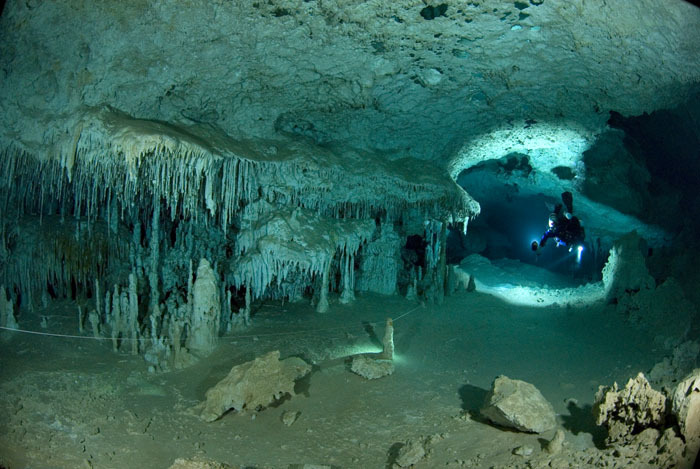 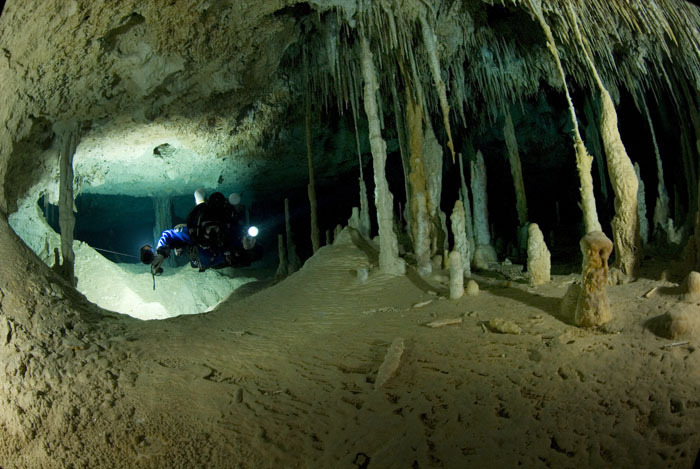 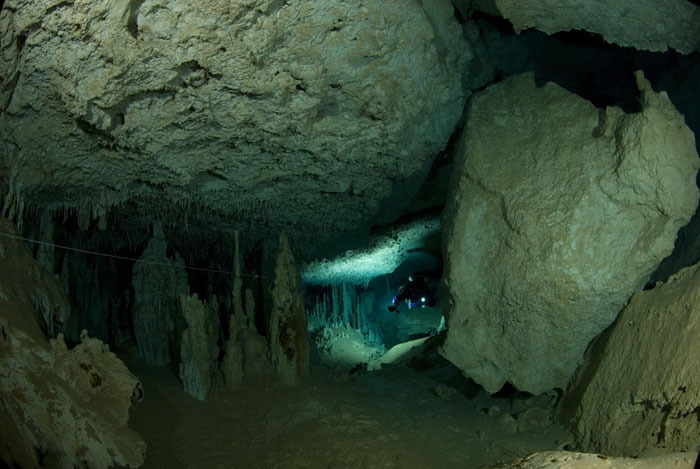 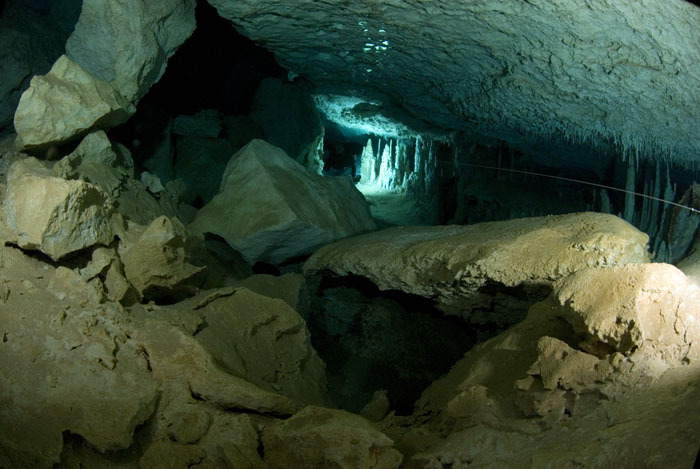 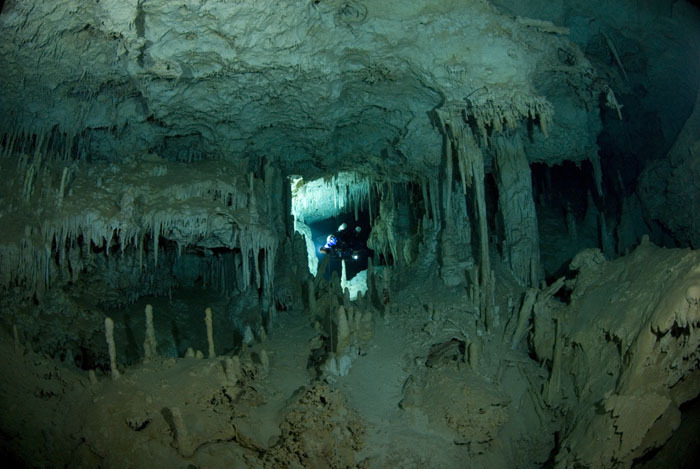 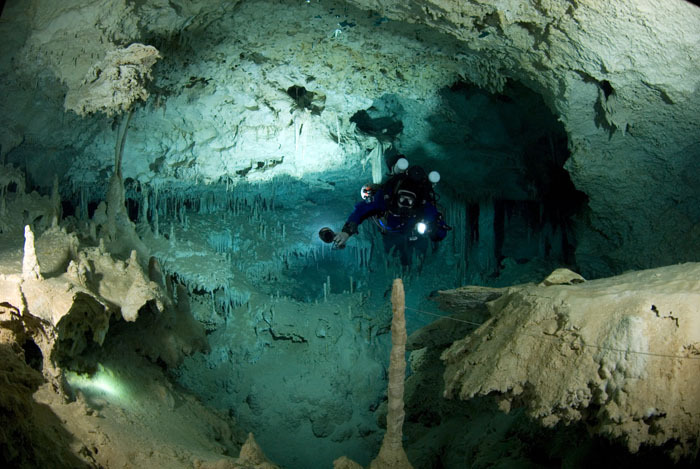 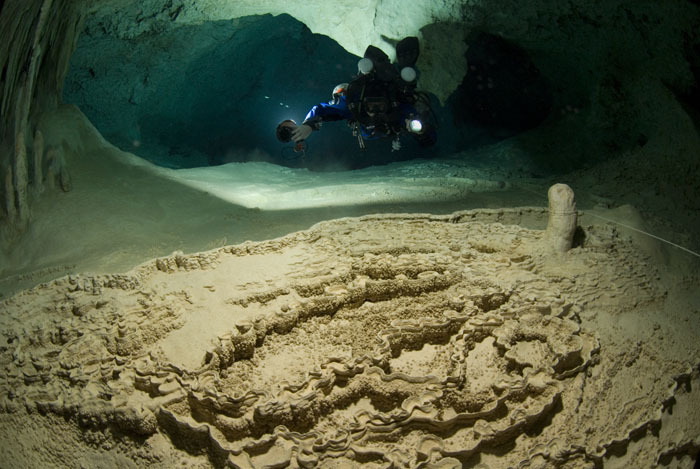 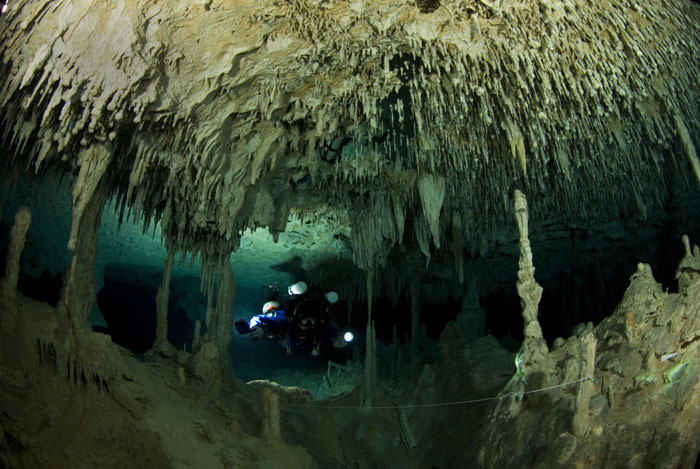 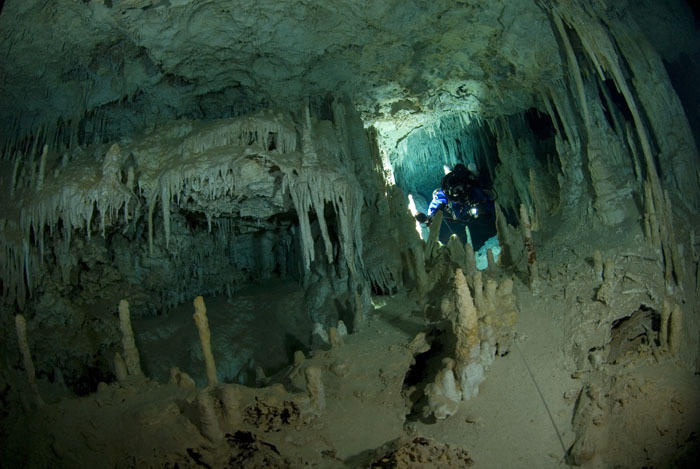 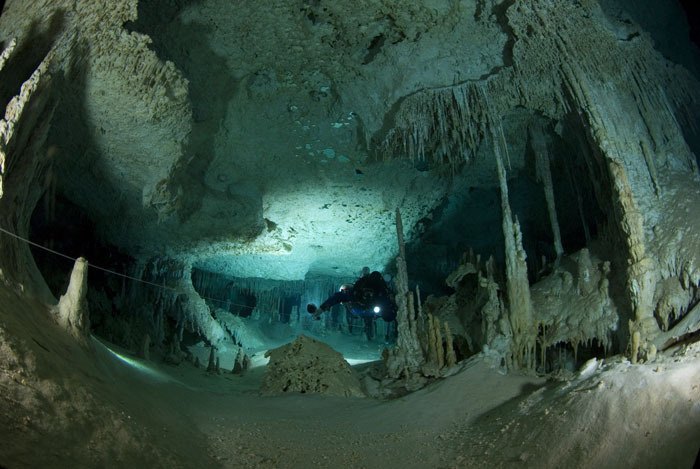 The cenote Pet Cemetery is located on the same road as Dos Ojos, however, two jumps from the cavern line took me to Diaz line in Nohoch system. 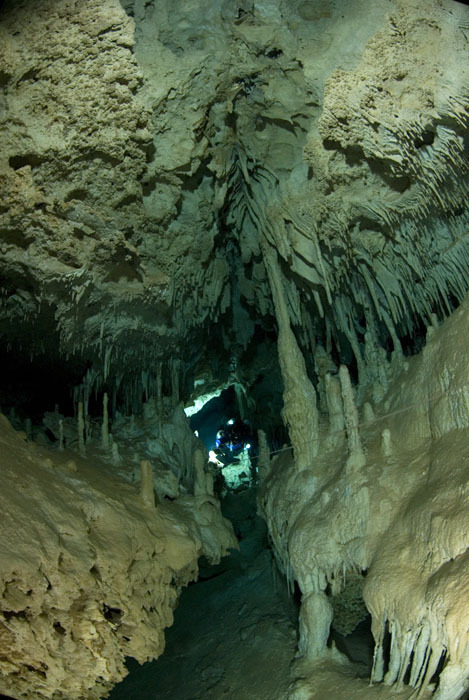 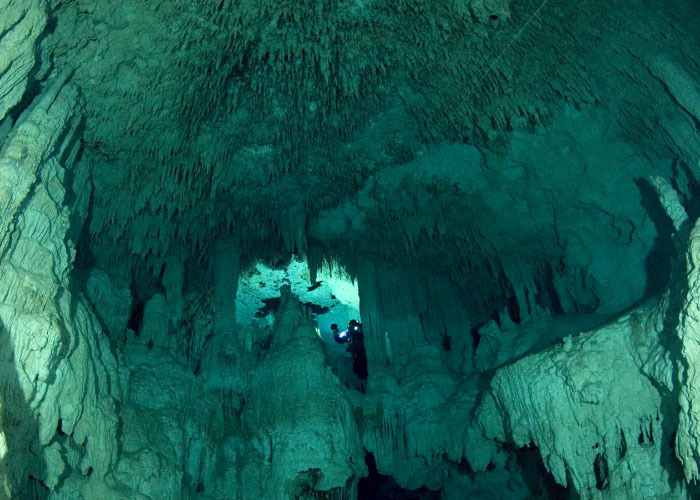 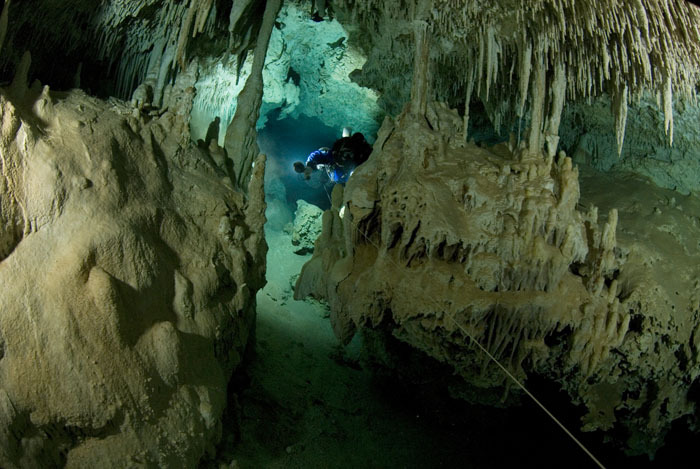 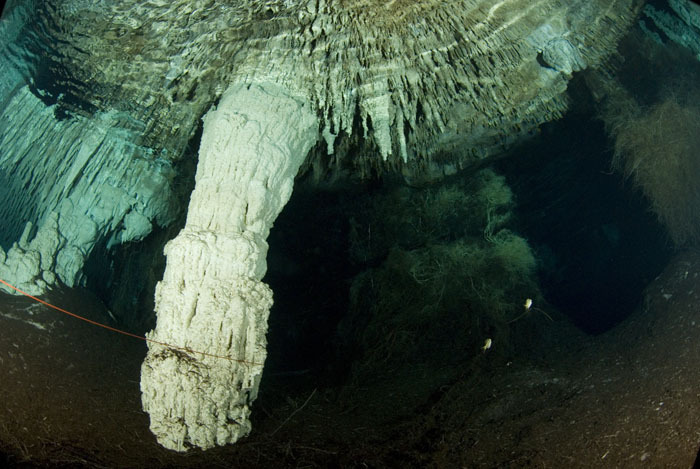 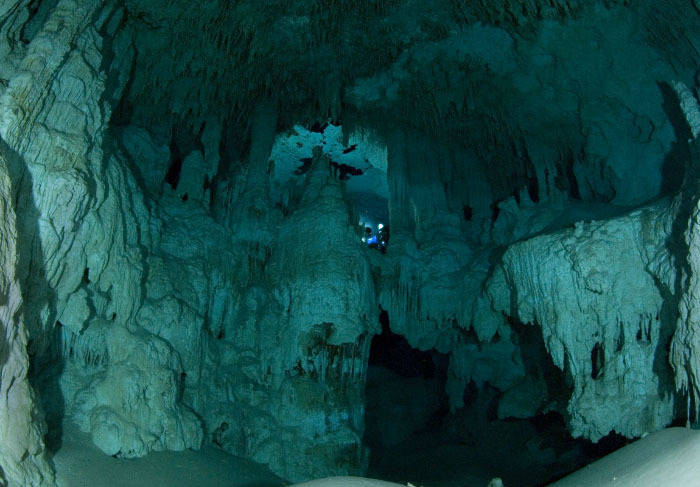 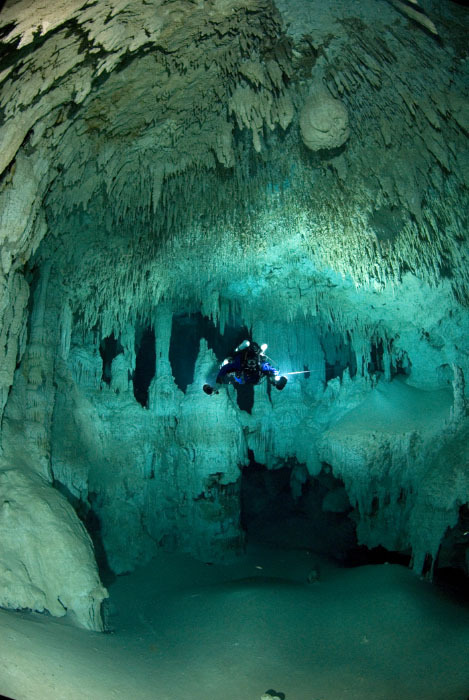 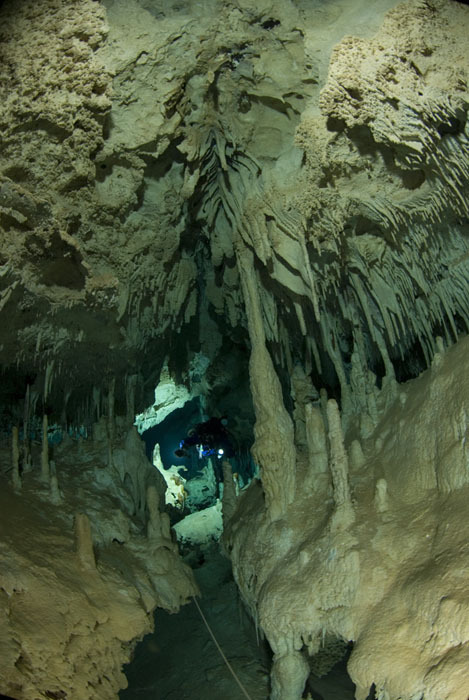 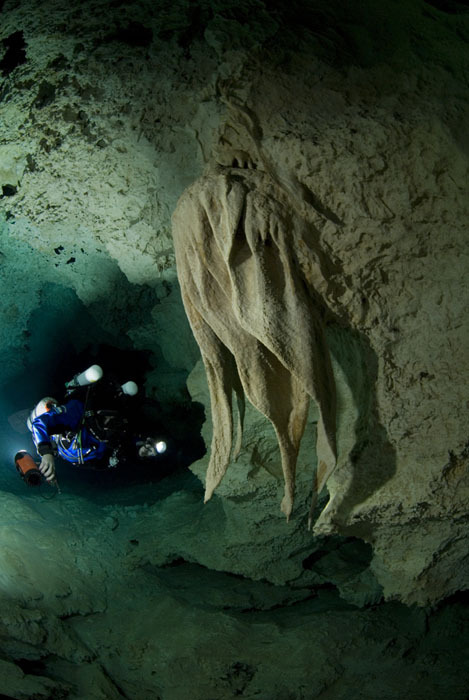 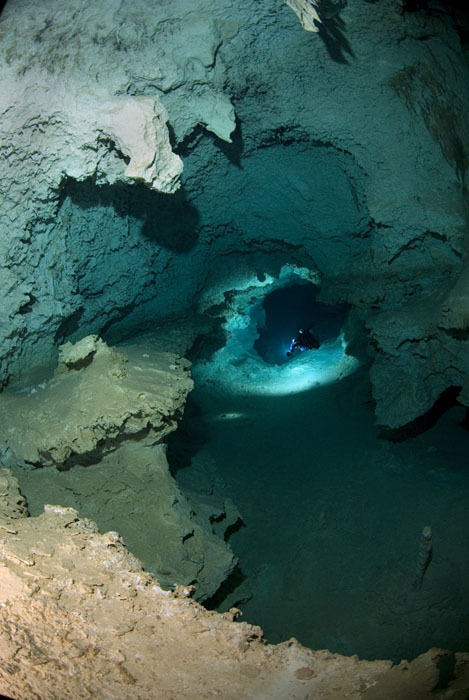 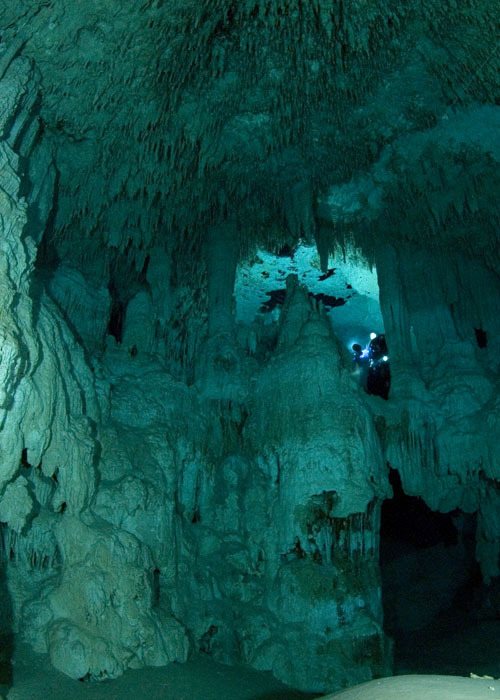 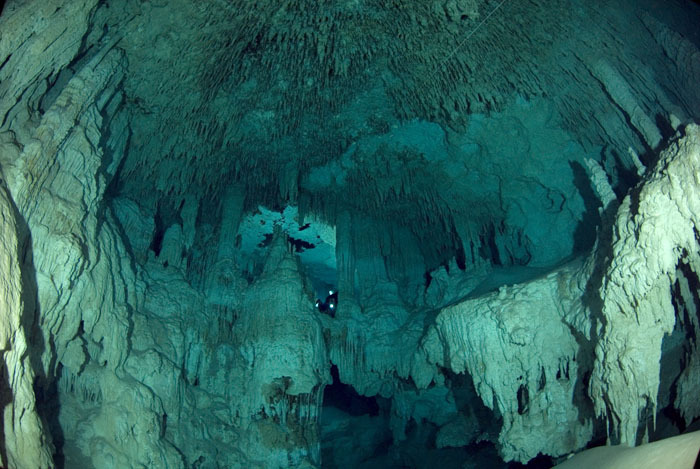 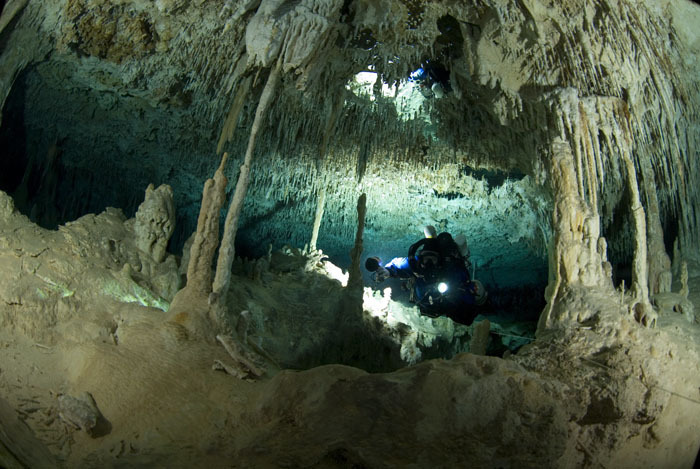 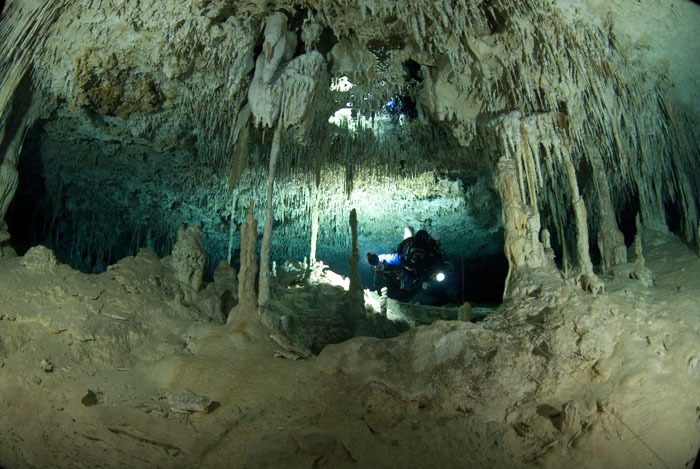 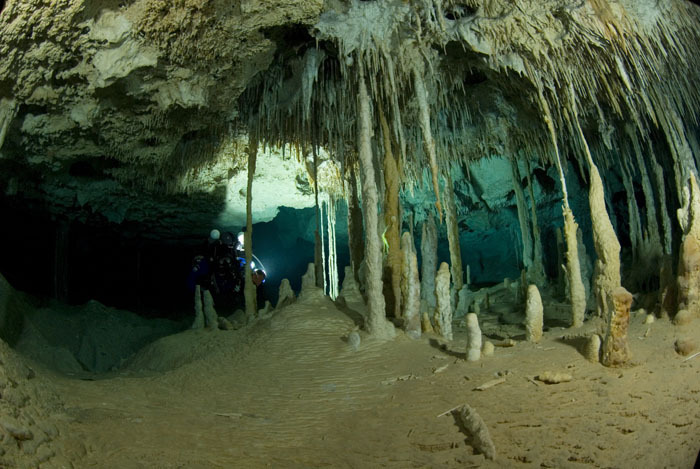 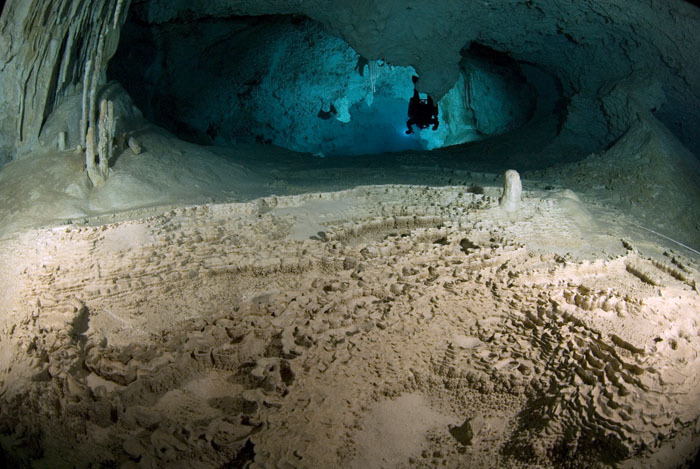 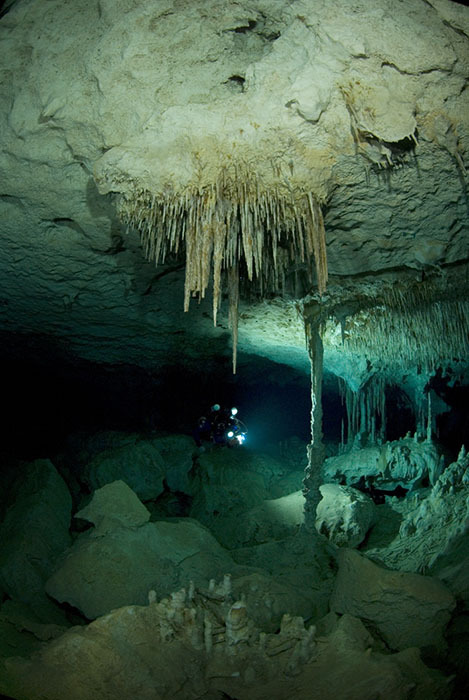 The cave around the Diaz line was just like Nohoch - light to whitish formations and incredible amount of formations of all shapes and forms. 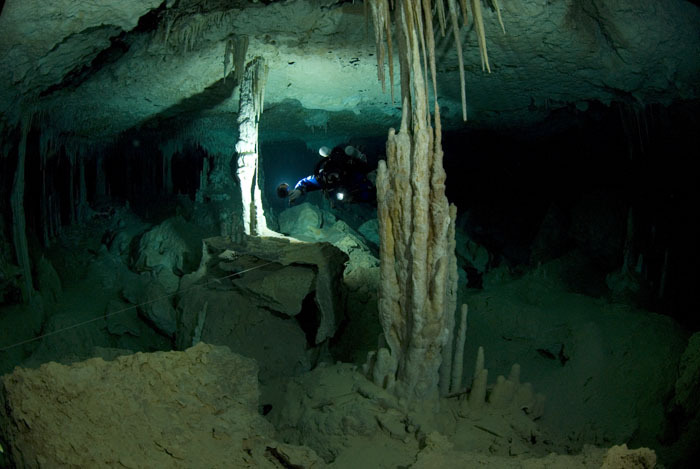 I will let the pictures tell the rest of the story. 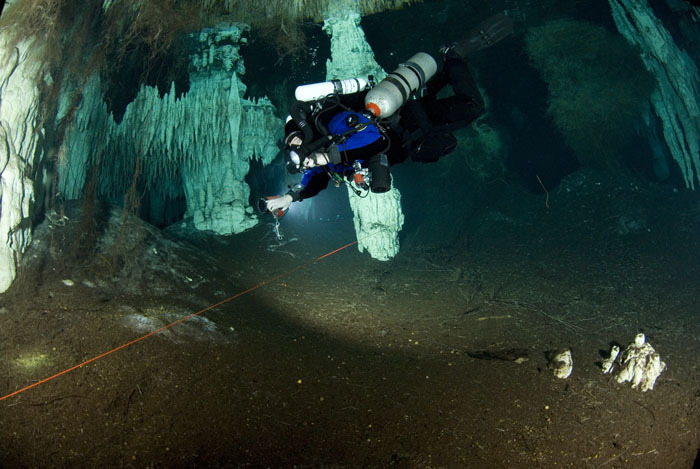 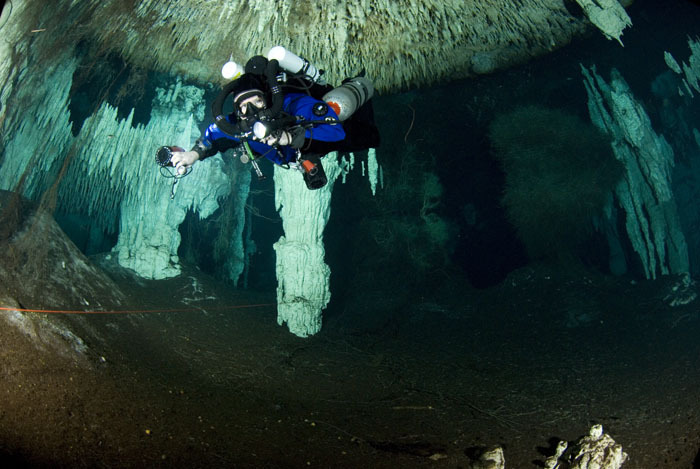 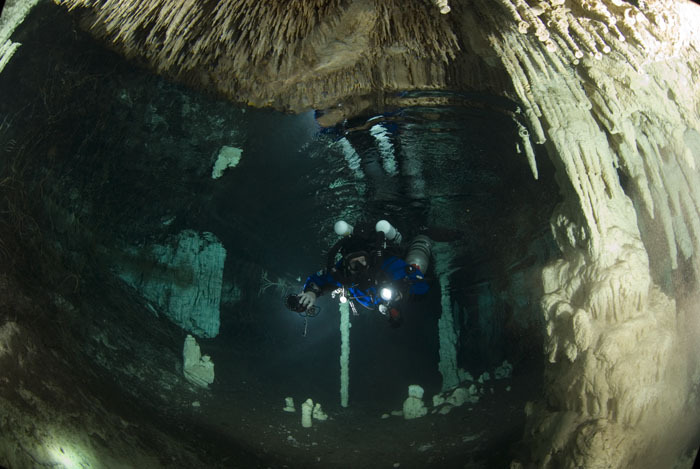 Restriction on the Diaz Line required takign one of my sidemount bailout off. 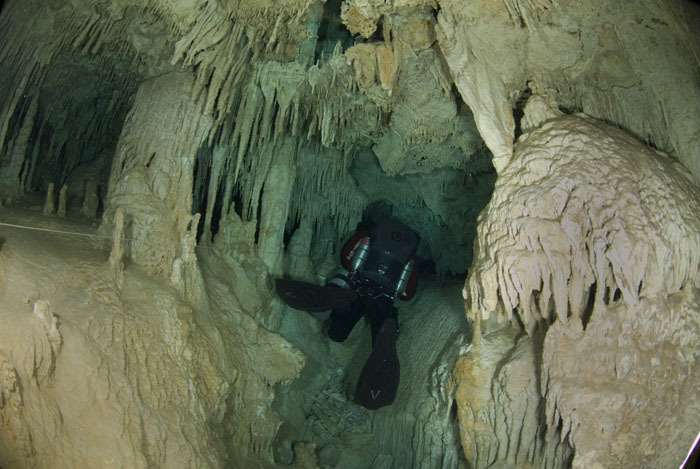 Cavern Zone - no daylight but the air bubble above.